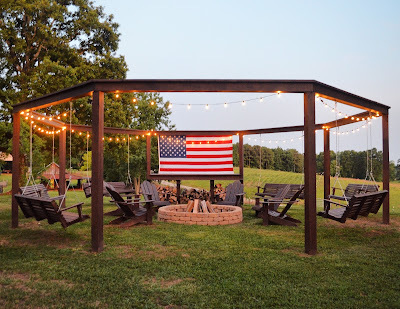 little white house blog: Country Living comes to Stillwater Farm! Hello, summertime! It's been awhile since I've done a farm update! Brett recently had back surgery and has been off work and recovering for several weeks. Property maintenance has been in full swing since spring arrived and our acreage is back in bloom. Lots of our interior projects are on hold right now while Brett is healing and we're doing our best to save up for our big kitchen renovation. But, our new farmhouse pantry remodel is almost complete and we can't wait to show you! The MOST exciting news we have to share is that our Alabama farmhouse is on the cover of the July/August 2016 issue of Country Living Magazine that released this month! It was one of the most memorable experiences we've ever had and it's still so surreal to see our home (and our sweet little Baker man!) on the pages of my very favorite magazine. My devotion this week opened with this quote.. "When you feel like everything is falling apart, it could actually be falling into place. God works in mysterious ways." We actually did the photo shoot on the five year anniversary of the tornado that destroyed our home in 2011. Watching their team work was such a treat and I was just so full of gratitude. Through the process of grieving, rebuilding, searching for our forever home and growing as a family both spiritually and physically, it feels like we've come full circle. We can so clearly see the way God worked so intricately in our lives and brought us to a home and community that we are so thankful for and proud of. We have a lot of work ahead of us but we love the farmhouse and we are proud to call Columbiana home. We're right where we belong! Our sweet Baker man! He looks like Huckleberry Finn and my momma heart could just burst! A really fun tidbit about this whole experience is that they totally surprised us with our cover! We had absolutely no idea that we'd have a full two page spread inside the magazine, much less the front page. (I honestly just thought we'd see a small 2" photo of our porch and I would have been over the moon thrilled with that!) The Country Living offices are located in an old biscuit factory in downtown Birmingham, Alabama. The week before the issue released they invited me to stop by and tour the office and of course I basically landed outside their doorstep about .5 seconds later jumped/cried/happy-danced/screamed/leapt at the chance! So, first off, Brett made a little handmade gift for the editor that we worked with which I wrapped in my favorite blue gingham paper..
AN ENTIRE BLUE GINGHAM WALL. THAT PERFECTLY MATCHED THE GIFT I WRAPPED. I have never felt so "at home" in an office in my life! Like, #THESEAREMYPEOPLE. I almost hugged the wall but I managed to practice enough self control to keep walking. "She lived a wonderful 28 years but a photo did her in." But, seriously. I practically broke out in hives and got teary eyed. It absolutely took my breath away. I'm sure to them it was just another magazine issue, but to me it meant the world! I ran to my car and called Brett and my family and then just sat there in shock for a while. And one of the coolest things about this issue is that it's reader themed and the big "Country Coast-to-Coast" story that features spaces from all 50 states includes a whole bunch of my blogger and Instagram friends, too! I love that I can flip through and see their homes in the same issue. Really makes it extra special! Baker did SO good! I had an emergency stash of candy, donuts, cookies, suckers and straight sugar cubes to keep him happy during the shoot. HAHA!!! But he was in a great mood and they let him eat popsicles and play in the sprinkler so he was a happy camper! The farmhouse is decked out now for the rest of the summer. She'll proudly don her Red, White & Blue until the end of the season which is perfect in our little town because we have lots of patriotic festivities coming up like Liberty Day weekend and Fourth of July! Here's a look around the farm this month. And if you happen to pick up a copy of the magazine and see us.. Just know how big I'm smiling! We will never ever forget this! This tree was just begin' for a swing! We made a little mini adirondack swing for Baker and he loves it! Summer Nights! About to light 'er up! I absolutely adored reading this! You and your home are amazing!!!! Much deserved my friend!!!! Thank you so much, Deb! I really appreciate that! CONGRATULATIONS LAUREN AND FAMILY!!! WOW!!! What a thrill and I will find this magazine so I can drool over your home. :) Seriously gorgeous. Your sense of humor makes me laugh out loud and charm soothes me. Clearly this is your forever home. Your home looks like its..... out of a magazine! ;-) Oh wait- it is- my favorite magazine in fact. Congratulations!! That is so exciting for you guys. Praying your husband has a smooth recovery. Lauren, this is Christine Williams. I sent you a private message on Facebook. I'm not sure if you have received it or not. Just wanted to let you know in case it is being filtered out because we are not Facebook friends. Wow your home is stunning, and your little one is so precious. Congratulations on making the cover. Such an honor, but very deserved. Thank you so much, Rachel! I really appreciate that! What an absolutely stunning home! 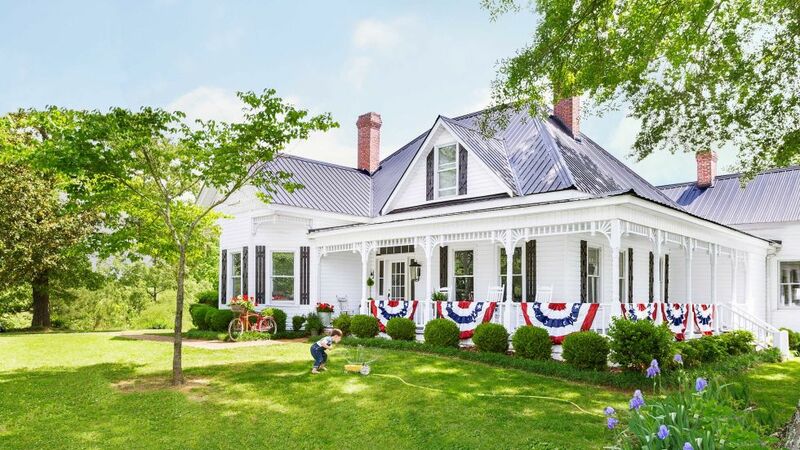 We dream of renovating a farmhouse someday, and I must say, I'm pretty partial to Alabama having gone to college in Birmingham. Such a great place with lovely people! Hi, Danielle! Thank you so much for taking the time to stop by and leave a message! I went to UAB. :) I hope you're able to live your farmhouse dream. Good luck on future projects! And we really appreciate your kind words! Secured home improvement loans can be a good way to get the money that you need for improvements to your home that you may have always my website of but never been able to afford. Home improvements can be expensive, causing them to take a back seat to your other fiscal responsibilities.